Knock on wood my kiddos currently are not suffering from any stomach bugs or colds, but it is definitely going around. Since we are right smack dab in the middle of cold and flu season, I am prepared as I can be for when the moment arises. However, I thought it would be interesting to ask my kiddos, What Kids Want When They Are Sick. This Mom knows when my kids are sick that they may need a visit to the Doctor, as well as lots of tender loving care. They need an isolated spot to recuperate along with understanding and patience for whatever is getting them down. In order to keep them quarantined as well as comfortable, I am sure to keep stocked with the proper medications as well as items needed to get us through the illness. Thanks to Pfizer Pediatric Products like Children’s Advil® Suspension, Grape (ages 2-11), Children’s Robitussin® Cough & Chest Congestion (ages 4+), and Children’s Dimetapp® Cough & Cold (ages 6+) I am covered with my OTC medications. Formulated just for kids, Children’s Robitussin® Children’s Robitussin® Cough & Chest Congestion for ages 4+ non-drowsy daytime formula helps break up chest congestion. Plus, I have my Sick Day Survival Kit stocked with a humidifier, tissues, an empty garbage can (for upset bellies and tissues), and plenty of fluids. Not to mention, I have a shelf full of DVDS to keep them entertained and in one spot (This was a priority my kiddos list of What Kids Want When They Are Sick). 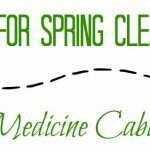 Don’t get caught off guard when your child is sick! 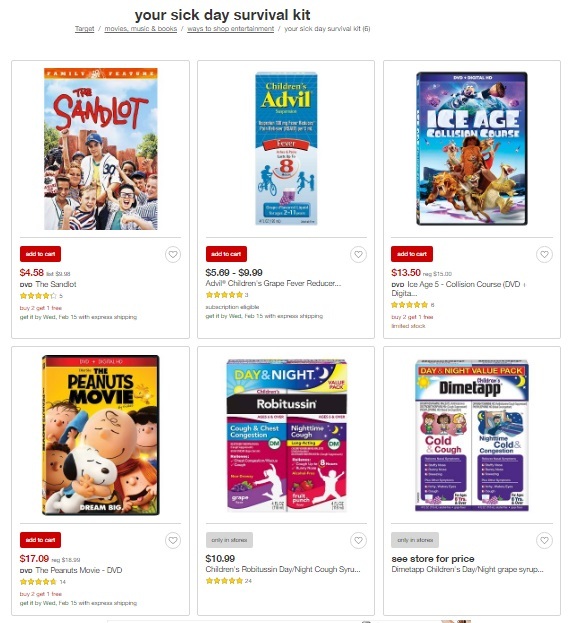 Be sure to take advantage of the Cartwheel offer for 10% off Pfizer Pediatric products and select 20th Century Fox DVDs (Ice Age: Collision Course, The Sandlot, The Peanuts Movie) at Target valid through February 20, 2017. 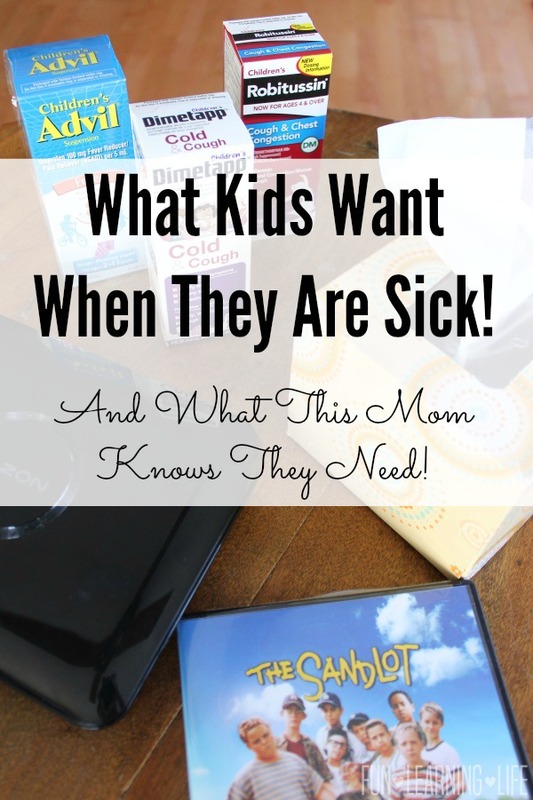 What do your Kids Want When They Are Sick? 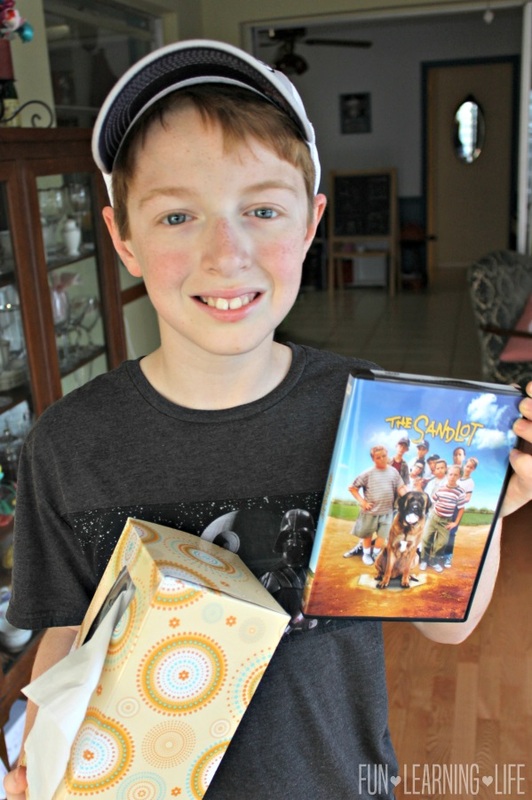 Share what your family asks for, and what you keep in your sick day survival kit! *This post is not meant to treat or diagnose an illness, it simply shares my family’s own personal opinions and experience. ** Participates must be 18 years or older to participate and live in the United States. Odds are based on the number of entries, and by participating, you agree to these terms and the laws set forth by your individual state. Entries will only be accepted through the Rafflecopter Form, and Fun Learning Life is not responsible for disruption of the page or service which could cause problems with entering. The winner will be contacted through email (make sure you check your spam or junk mail) with the Subject line “Pfizer Target Gift Card Winner”. Shipping information, including email, phone, and address will be collected at that time. The winner has 48 hours to respond, after that an alternate will be chosen, and so on and so forth. Fun Learning Life does not sell personal information. The prize will be fulfilled by the PR Firm. Fun Learning Life does not share information with 3rd parties unless specifically expressed in a specific promotion or giveaway. 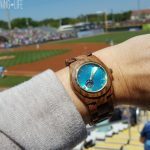 This giveaway is not associated, nor sponsored by Facebook. They usually ask for juice and a comfy blanket to snuggle up with. My kids want chicken soup and a soft blanket on the couch. My daughters ask for water, juice and tissues when they are sick. I make sure the are comfortable in bed with the tv remote nearby. When my niece is sick, she actually craves milkshakes because it feels good on her throat. My kids love juice, a good book or movie, snacks, tissues and their favorite blanket. His Chase pillow and Duck blankie. They always want to watch cartoons when they are sick and we keep cold medicine, a thermometer, NyQuil, cough drops and hand sanitizer in our sick day survival kit . My kids asks for juice, chicken noodle soup and cartoons when they are sick! We keep cold medicine, cough drops/spray, thermometer, and disinfectant spray in our sick survival kit! When my daughter is sick she wants Tuc our 80lb+ pitbull/lab in bed with her and he wants to be there. I am very lucky that she is like me when sick. We don't want people around just some soup and water and the tv. and of course Tuc. My sons love chicken noodle soup when they are sick. They want sprite and chicken noodle soup. My grandson asks for soup and juice when he is sick. My grandsons want me to make them a "bed" on the sofa. It makes them feel pampered. They also ask for their iPad to keep them entertained while they rest. In our survival kit we keep children's Advil and plenty of water! When the kids are sick they want to cuddle and watch a good movie and eat soup. My kids want extra snuggles when they are sick! My family asks for homemade chicken noodle soup, Kleenex with aloe and soft blankets when they're sick. My daughter just wants to veg! They want chicken noodle soup and cartoon. I keep Kleenex in my sick day survival kit! My kiddo likes a blanket, movie, and fruit popsicles. My kids think whenever you're sick you automatically get ice cream. :) So that's what they want but what they get is chicken soup and lots of orange juice. I always keep orange juice and strawberries ready for sick days (for the vitamin c). The kids always want ice cream when they are sick. I keep medicine, tea, Kleenex in my sick day survival kit. My daughter always asks for her favorite stuffed animal, Dakota, and cuddles with her mom. I keep tissues, fever reducer, cough drops, chicken noodle soup and blankets in my sick survival kit. 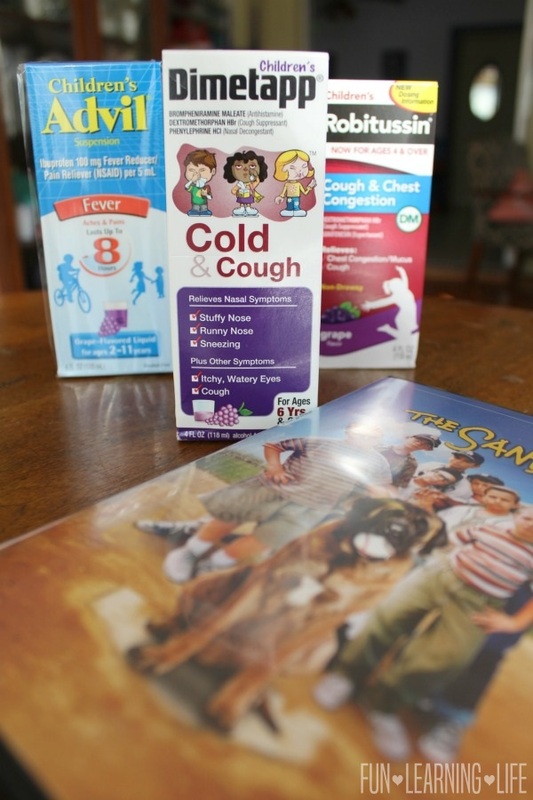 My kids ask for books and movies when they are sick. When my kids are sick a blanket and all access to the couch are the wants. I try to keep Advil in the house for fevers and cans of chicken noodle soup. Our kids always want water and ice cream! I always have Advil and Dimetapp, as well as soft tissues stocked in the medicine cabinet! When my kids are sick they usually ask for juice and want to watch movies on the couch. I always have tissues, Vicks, cough medicine, soup and a humidifier on hand. My nieces and son ask for orange juice and cookies ;) I always keep Children's Advil, ice and cold bag, and head thermometer in my medicine box Thank You for the chance! popsicles and juice are always the choice here. And I keep soup, kleenex, cough drops and cough medicine in my kit. They just want to cuddle. Isn't it the worst to have sick kids? Our daughter has a bad cold right now. It's so important to keep OTC mess on hand for when our daughter gets sick. The last thing we want to do is to run out to the store with a sick child or to have her wait for relief. Our three year old daughter wants tissues, blankets, apple juice and her mom and dad when she's sick. My granddaughter always wants cuddles when she is sick. I keep cold medicine, Tylenol, vapor rub, thermometer and love. My kids want sleep and water. My kids don't ask for anything when they are sick. They generally just want sleep and maybe some medicine to help them feel better. My kids always asked for soup and tea when they were sick. they stay in bed, get lots of fluids and rest. My family asks for soup, Popsicles, movies and lots of cuddles! Mostly lots of TLC. A little soup or tea and watching tv. The kiddos want books, movies, and soup when they are sick. 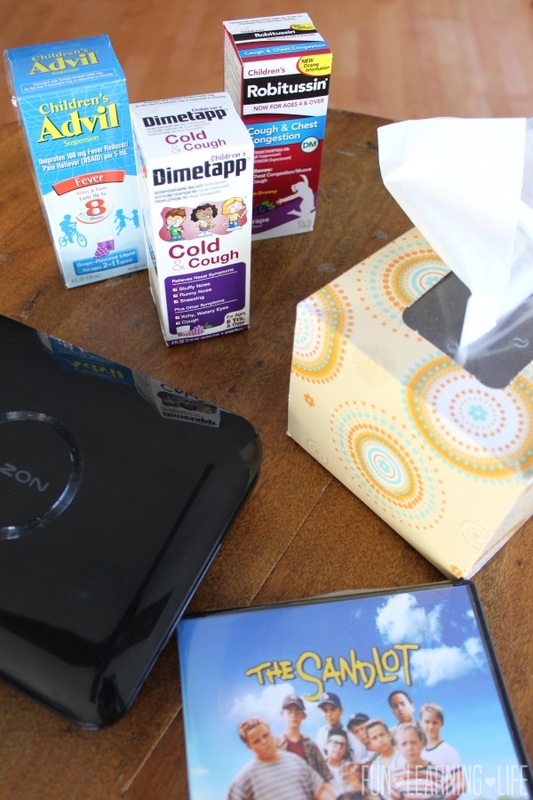 Our sick day survival kit includes chocolate, a lot of tissues, and plenty of drinks! My granddaughter wants a lot of liquids, her warm fuzzy blanket and some good movies to watch when she is sick. Chicken noodle soup is always a big request. we cuddle, keep hydrated, and get plenty of sleep. When my children were small 7UP was something they always asked to have. Also, a makeshift bed on the couch watching tv helped. My children ask for freeze pops which i dont mind giving this to them when they are sick because it helps with hydration when they won't drink thier fluids. My kids usually want Coke and TV. I keep a fever reducer, cough medicine and soup in my sick kit. They usually ask for a heating pad and some cozy jammies. They want exactly what I want when i'm sick. A soft blanket and a movie. My kids are super fussy when they're sick, but they are little. 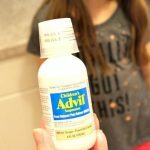 Childrens Advil is a must! Lots of attention! Time for lots of movies and stories. My sons usually want juice and Netflix. blanket, lay on the couch, and ice pops. They want to cuddle watch tv and have something to drink. They want homemade chicken soup. Always have pedialyte on hand too. They want chicken noodle soup, Vicks vaporub, Kleenex, a thermometer, a television, and some TLC! to stay in bed and watch cartoons with soup and crackers! My daughter always asks if she can run around and play when she's sick, it makes her stronger. They ask for chicken noodle soup and crackers. My kids want to lie on the couch & watch TV in their pj's. I like to keep jello on hand. My kids want Sprite when they are sick! And to lay in bed with my iPad. They always ask for a soft blanket & the tv remote. I make them comfy with pillows, blankets, humidifier, a movie they like and lists of kisses. I make sure they have their blanket and "friend" (favorite stuffed animal), lots of water to drink, tissues, chicken noodle soup, and pretzels. If they are really ill, they stay in bed and I check on them frequently. If well enough, I haul in pillows and fleece throws and make a nest on the sofa so they will be comfortable. Movies, music, books to read and coloring books are all within easy reach. Some good snuggle and reading time help. My kids always want 7Up to drink when they are sick. I keep bandaids and a spray disinfectant in my survival kit. Saltines and ginger ale are what they ask for when sick. My kids always ask for icecream and cartoon network when they are sick. My kids want juice, a movie, snacks, tissues and to lay in our bed which is a treat. My daughter likes fudge bars and watching movies. I would say fudge bars, movies and other snacks. They want to always lay in my bed when sick and eat grilled cheese! My son wants, chicken noodle soup, 7up, blanket, tissues and lots of Netflix movies! I keep vitamins, cold remedies Kleenex and patience to make up my sick day survival kit. My family always ask for chicken noodle soup and hot tea and toast. They want soothing food and hugs. We serve broth and crackers. Our daughter wants her blanket, juice and soup. We keep cold medicine and soup on hand. My daughter always wants tissues and orange juice when she is not feeling well. They want movies and lots of pillows! No kids. I want chicken soup and lots of sleep. Thanks for the contest.